Impress your clients with upholstery work that caters specifically to your business. As reputable manufacturers and designers, we work from your own ideas as well as detailed drawings to ensure that your needs are fully met. As a family-run business with an excellent reputation, we provide complete restoration work to meet your specific requirements. Our team of professionals are able to cater to any business that requires a brand-new look. 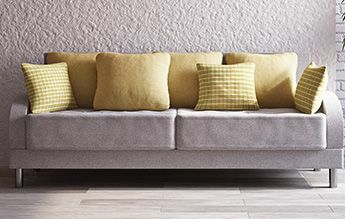 Contact our upholsterers in Leicester, Leicestershire, to discover more about the services from our reputable upholstery company. Make sure that your business premise attracts as many clients as possible by maintaining a flawless appearance. Based in Leicester, Leicestershire, we cover all aspects of upholstery work, including leather restoration and cushion foam replacements, so that your customers always feel comfortable and at home. 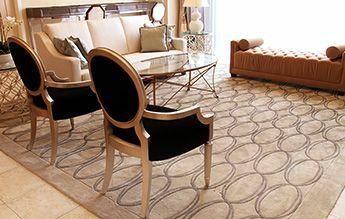 Our team of upholsterers offer an impeccable service nationwide for the furniture in your home as well. As a highly regarded upholstery company, our services are unrivalled in the industry. The 1970s was an exciting time for businesses as interior design had become very successful. Due to this, Richard Powell and Craig Lankton decided that they would offer innovative designs to companies that would help them stay current. More than 35 years later, Style Upholstery is still going strong. Our commercial upholstery service can recover and restore anything from three-piece suites and dining chairs to bar seating in fabric or leather.